Coleman Park offers numerous facilities and activity areas for the community and general public. 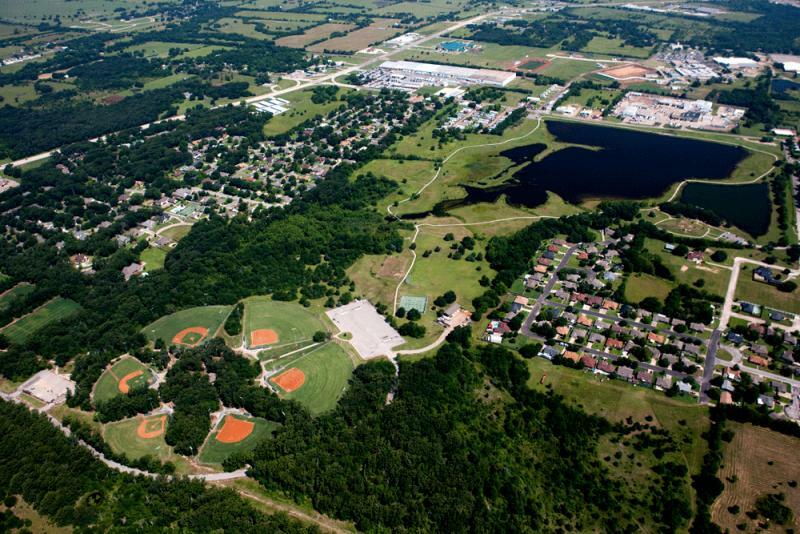 Your journey through Coleman Park begins on a concrete 2.5 mile walking trail which circles the lake, takes you past two breathtaking waterfalls, over three bridges, through a tunnel, and finally connects you to the soccer and baseball fields. The park has numerous recreational and sporting facilities, consisting of 7 soccer fields, 3 baseball fields, 3 softball fields, 2 tennis courts, a fishing pier, several picnic areas (equipped with charcoal grills and tables), a playground area, a 1/3 mile nature trail, and 2 concession stands located in the soccer and baseball areas.